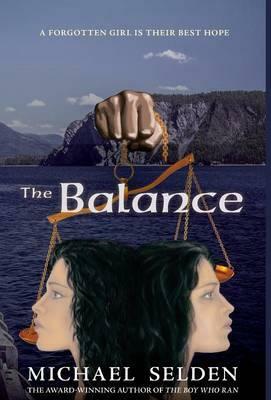 THE BALANCE is a Young Adult novel, set in a dystopian future. It takes place almost 200 years after a global thermonuclear war. The Land is ruled by a theocracy-the Council of God-which drove the Order into exile about eighteen years before the story begins. The Order had brought advanced technology from the pre-war past into the post apocalyptic era using self-contained living time capsules. Phoebe is seventeen, and the last Sensitive to have been genetically engineered by the Order-before they were either killed off or driven into hiding. She doesn't know why she's plagued by the voices, images, and feelings of people all around her. For her, it's a constant struggle just to survive the chaos they bring to her life, and to hide her strangeness from others. In the Land, strange behavior is reported, and those deemed to be witches are sent to the Inquisition. She lives in a harbor town, hiding what she is, protected by her adopted father, Daniel. The Order hasn't completely vanished. Their ancestors had established Sanctuaries before the war, and the refugees retreated to these hideaways to survive the Purge. Now they're plotting to restore the historic agreement that made it possible for them to share the benefits of an advanced civilization with people in the Land, and to co-exist with the Council. Their leader, a genetically-engineered Prescient, has been aware of Phoebe, but has largely left her alone. Now he sees danger coming for her, and he also has visions that she might hold the key to a path that would help them reestablish the agreement they made with the Council, an agreement called The Balance.